The fastest men on two legs will line up for the opening rounds of the 100 metres on 13th August and when the gun goes off and they race towards the finish line, the eyes of the world will be on Usain Bolt. Despite battling through injuries in the lead up to Rio 2016, Bolt will enter the Olympics as the favourite in everyone expect his opponents' books. With the world record in his possession and gold medals aplenty, Bolt could have conceivably succumbed to his niggling injuries and watched the Olympics race by. However, with a place in history at stake and the chance to upset Justin Gatlin once again, the charismatic sprinter wasn't going to miss this one. While the decision to race will sit well with athletics fans, is it one the man himself will live to regret? Will his legacy be sullied by a lack of preparation or can his natural talent carry him over the line in first place? A review of the odds at NetBet suggests the decision was a wise one. Currently pitched at 4/9, Bolt is the heavy betting favourite over his main rival Gatlin at 7/4. Of course, the men's 100 metres will be more than a two-man race and one of the surprise packages on 13th and 14th August could be Trayvon Bromell. The young American might be a 12/1 shot according to NetBet's odds experts, but the man himself believes his diminutive size and stature could allow him to sneak into a medal position. Indeed, at just 5 feet 9 inches and 156 pounds (compared to the 6 foot 5 inch Usain Bolt), the 20-year-old Bromell doesn't cut an imposing figure on the start line. However, with a personal best of 9.99 seconds and a recent win over Olympian Asafa Powell in the 60-metre race in Portland, Bromell is more than capable of clinching a medal. Is he strong enough to challenge Bolt for the title in his first Olympic Games? Probably not, but with 2/3 odds on a podium finish at NetBet, the American is certainly an interesting betting proposition. Of course, the main man to challenge Bolt is expected to be the other American, Justin Gatlin. Despite being 34-years-old and boasting a chequered résumé, Gatlin has already run 9.80 seconds this year. As was the case in 2015 in the lead up to the World Championships final, Gatlin looks in fine form and extremely tough to beat, but he believes relaxation is crucial this time around. "I'm just coming here and just do what I need to do, which is run, enjoy myself and make my way through the finals and get on top of that podium." For Gatlin to not make the podium, something would have to go extremely wrong, so if you're looking for a locked on bet then 1/25 at NetBet is a great wager. However, is it worth taking 7/4 on Gatlin for gold? Quite possibly. If he can stay calm and not let the presence of Bolt affect him as it did in 2015, then he's more than capable of posting a time the rest can't compete with. Moreover, Bolt's injury issues could easily resurface during the qualifying rounds on 13th August and that could give Gatlin enough of an opening to sprint through. In fact, it's the form of Bolt that will likely tell the tale of the 2016 Olympic 100 metres final. Gatlin and Bromell certainly have the ability to push Bolt, as do Yohan Blake (14/1) and Andre De Grasse (22/1). However, when it comes down to it, the race is the reigning champion's to lose. Recent reports suggest Bolt's been taking pictures with anyone and everyone in the Olympic village, which would suggest he's relaxed heading into Super Saturday. 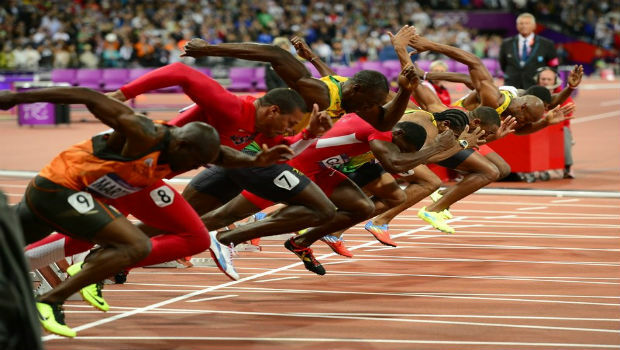 As we all know, a relaxed Bolt is a speedy Bolt and if that's the case then everyone will have a fight on their hands. Of course, anything can happen on route to the final and, while Bolt's odds might be 4/9 right now, that could change if the qualifying rounds throw up some surprises. Make sure you check out the latest odds on NetBet before the gun goes off, but don't be surprised if Bolt remains the top pick for Olympic gold this summer.